The ESC of Northeast Ohio's Gifted & Talented Program took place on November 13 at the Beck Center for the Arts in Lakewood. 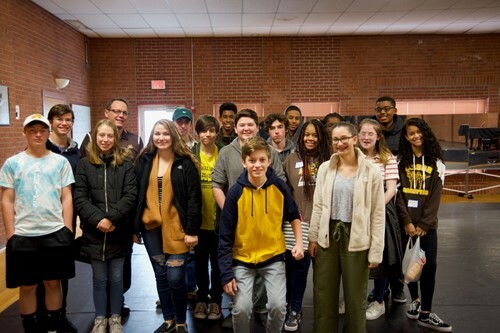 High school students from South Euclid Lyndhurst, Warrensville Heights, Rocky River, Richmond Heights, and Bedford learned how to create peaceful solutions through the arts. This one-day workshop included opportunities for students to write songs, play instruments, paint, mold with clay and learn how cultural arts can have a positive impact on their lives and society.